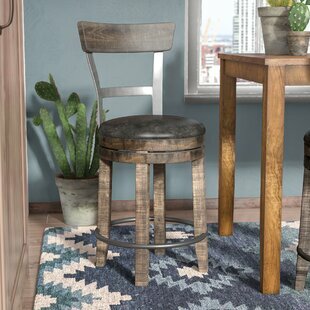 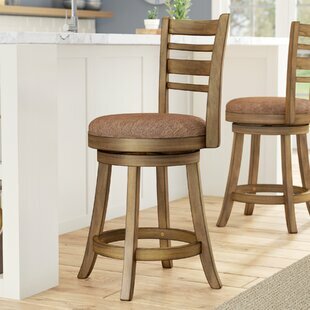 Perfect pulled up to a pub table or kitchen island, or paired with a curated home bar ensemble, this bar & counter stool brings rustic lodge appeal to any ensemble. 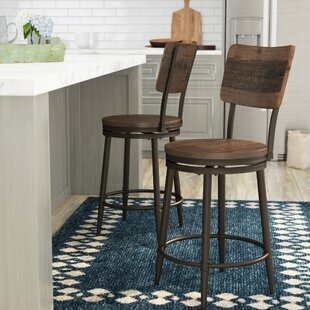 Founded on a solid hardwood frame, this charming design strikes an updated parsons-style silhouette with a high back, thick seat, and four tapered square legs with a built-in footrest. 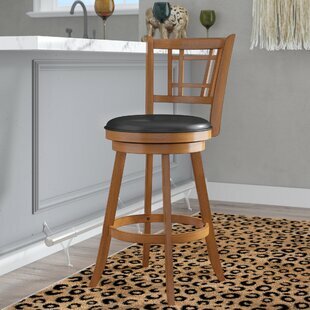 Richly-distressed polyester faux leather upholstery envelops the seat, detailed with accent stitching, while thick padded cushioning provides... Seat Material: Upholstered Frame Material: Wood Upholstery Material: 100% Polyester Weight Capacity: 275lb. 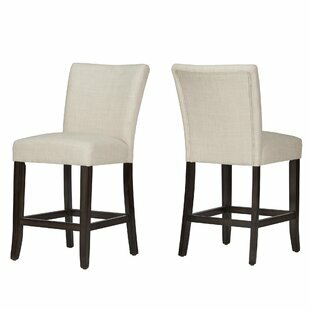 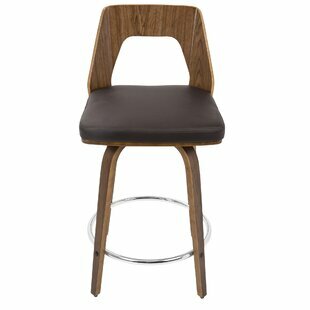 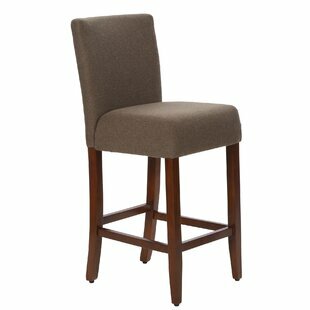 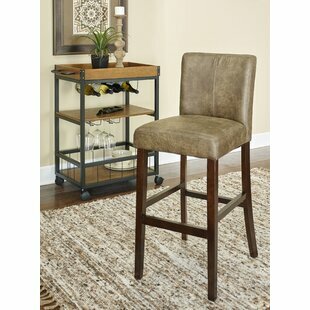 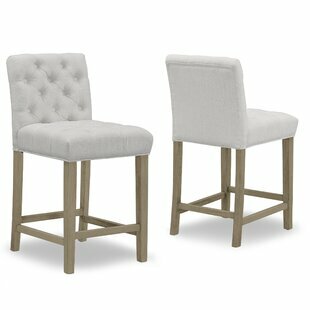 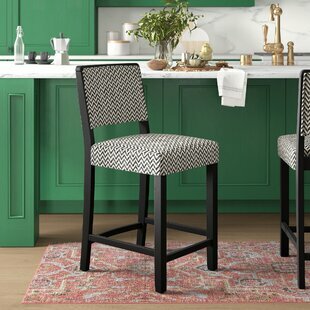 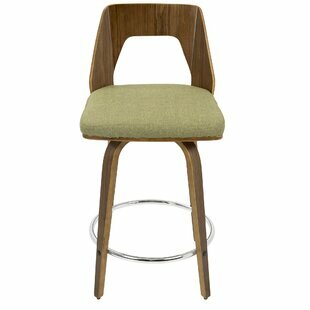 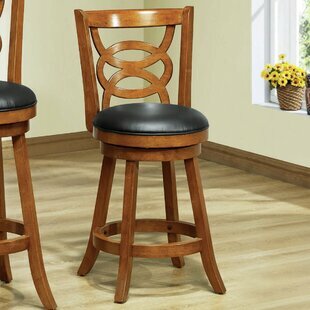 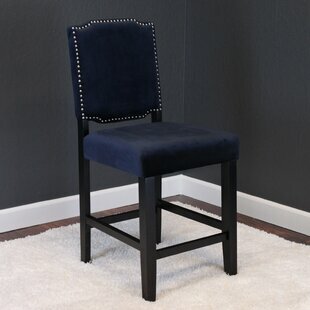 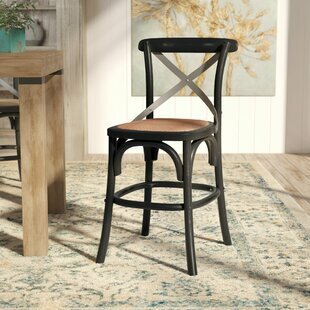 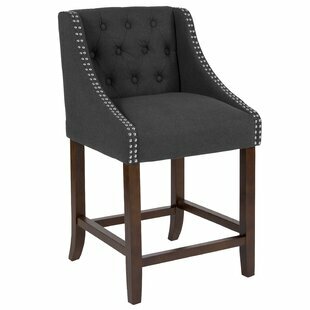 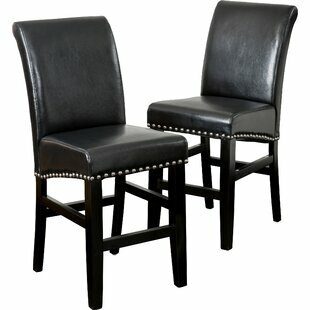 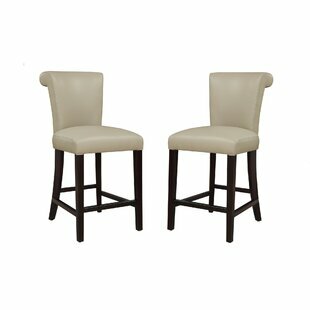 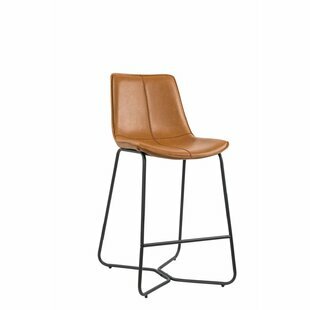 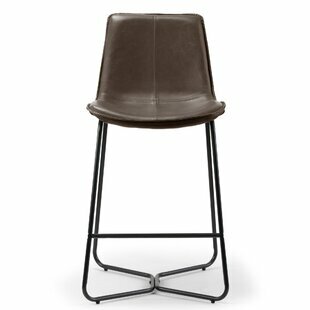 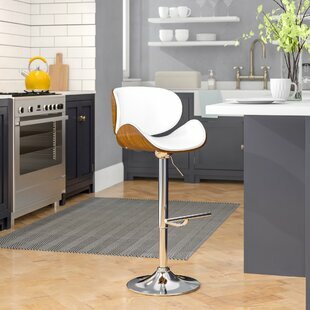 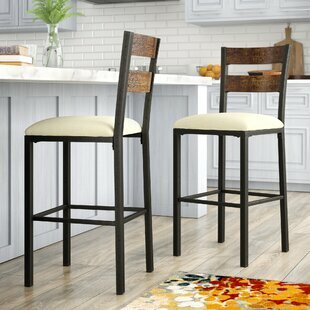 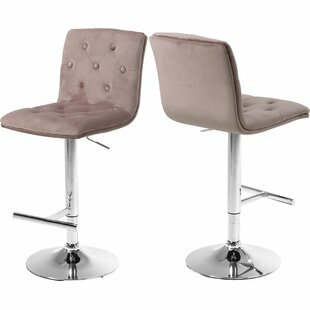 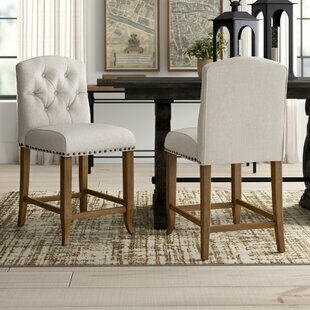 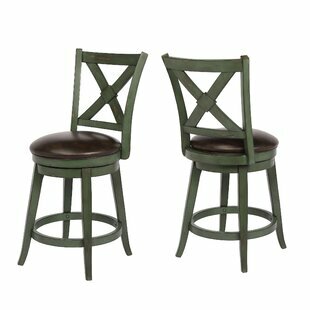 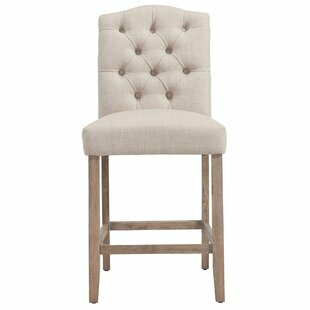 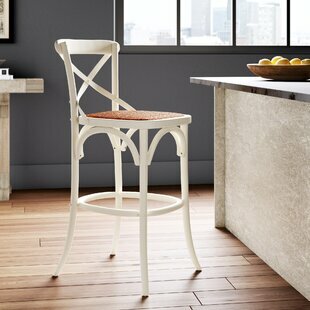 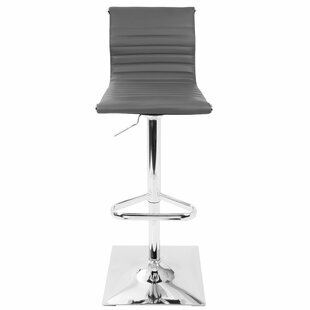 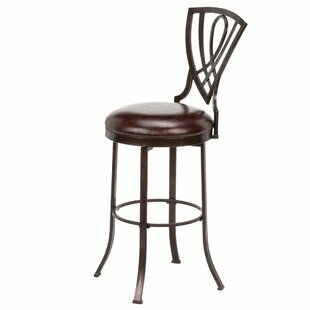 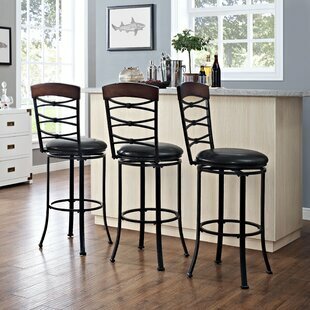 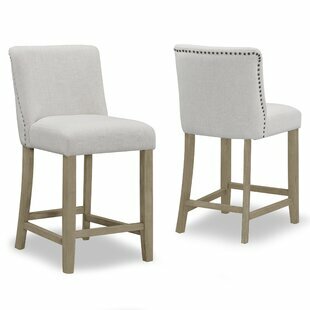 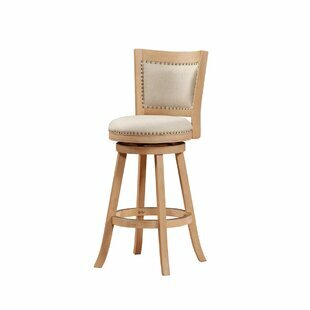 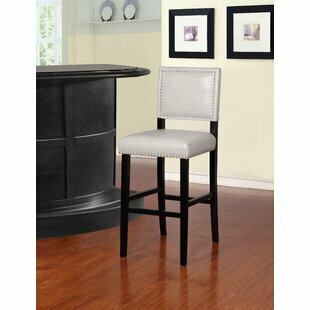 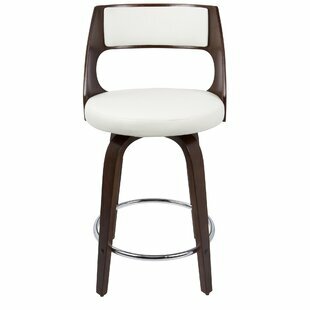 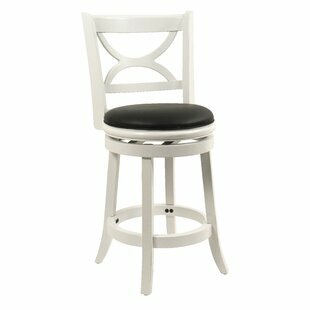 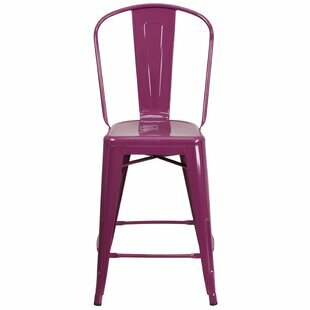 Add color and seating to your kitchen or dining space with this Elias 30" Bar Stool. 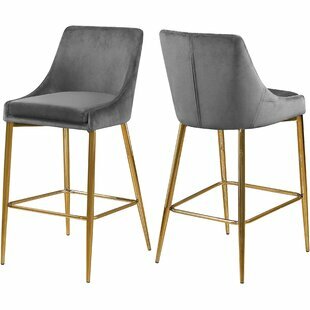 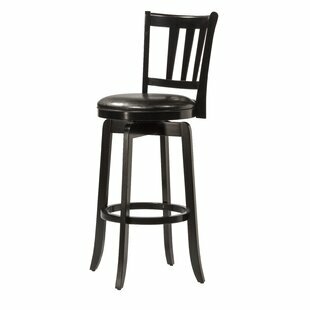 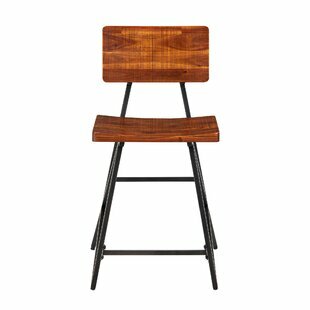 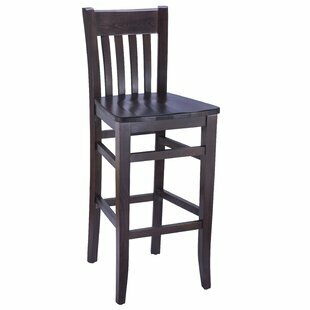 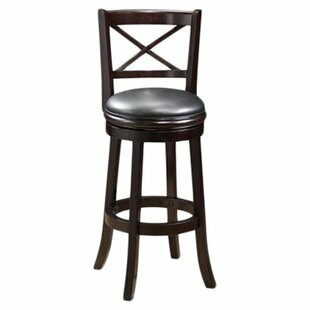 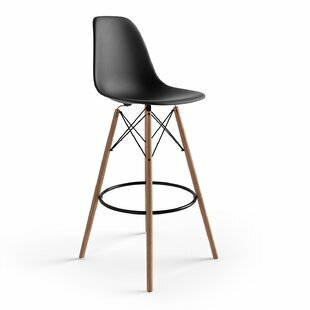 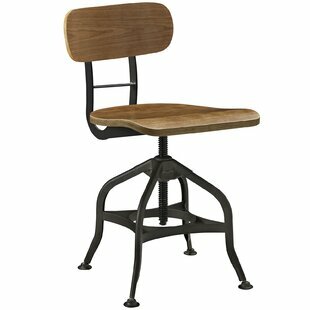 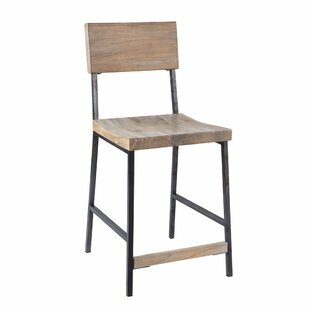 Crafted from sturdy hardwood, the stool features bottom foot rails for added stability and durability. 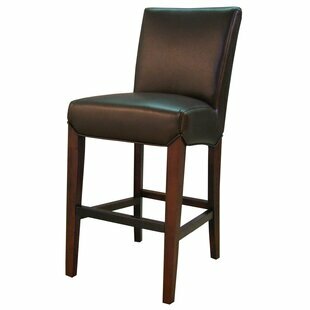 Seat Material: Upholstered Frame Material: Solid Wood Upholstery Material: Faux leather Weight Capacity: 275lb.